Mike Bojanski is currently Vice President of Human Resources at Finley Engineering in Omaha, NE. Mike started his human resources career in 1982 with Richman Gordman Stores. In his 25+ year career he has had the opportunity to work with privately held and fortune 500 companies including FDR, Cox Communications, Physicians Mutual Insurance Company and Huntel Systems.He graduated from the University of Nebraska at Omaha with a BSBA in Management and Human Resources in 1977 and received his Masters in Human Relations from The University of Oklahoma in 2002. 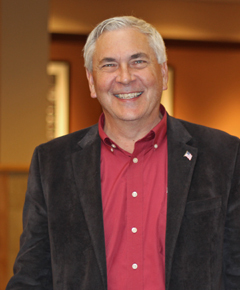 Mike is adjunct faculty at Methodist College in Omaha, facilitating an online human resources and leadership classes and at Creighton University in Omaha where he facilitates a traditional in classroom course in human resources.